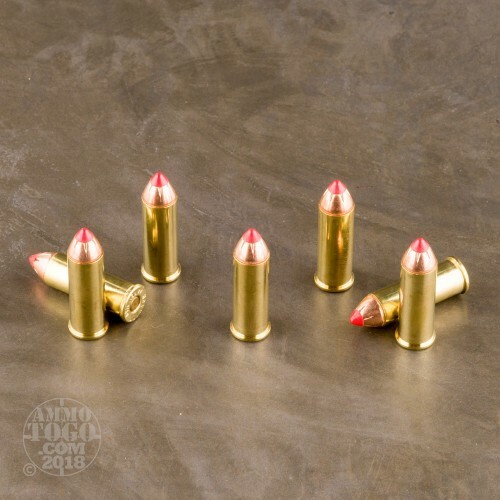 Using a 44 Magnum to hunt for deer is like combining two of our favorite movies: Dirty Harry and The Deer Hunter. 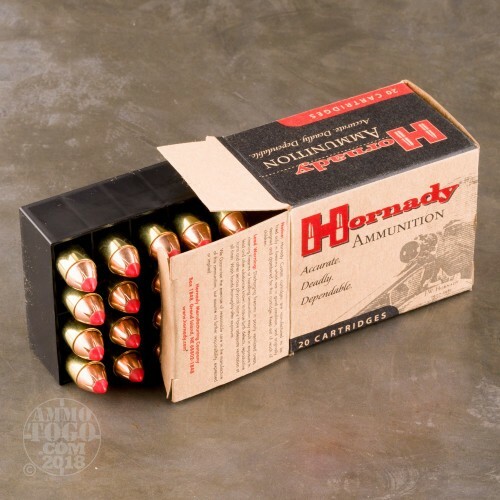 Unlike The Deer Hunter, though, this round by Hornady isn’t horribly slow when it starts out -- as a LEVERevolution, it utilizes modern propellant and the state of the art ballistically efficient Flex Tip to increase its muzzle velocity to 1,410 fps. 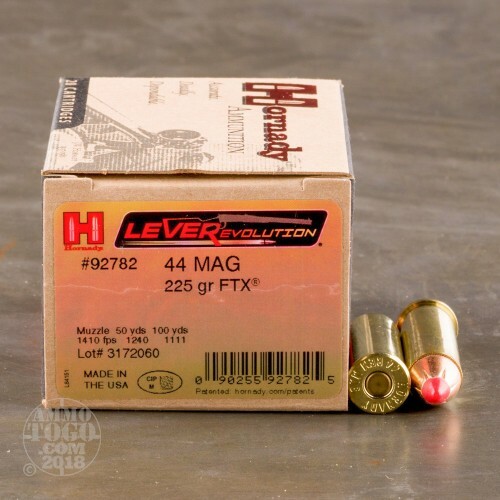 And if you’d prefer a lever action over a revolver, this round’s Flex Tip is going to benefit you by preventing a misfire in your rifle’s tubular magazine. This round’s 225 grain FTX projectile is going to leave a big impact, too. 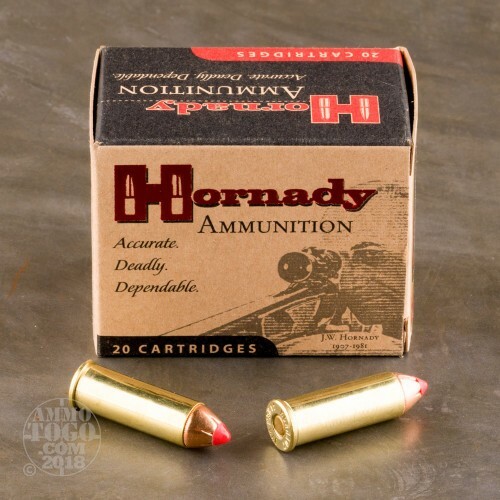 Its soft elastomer tip that protects the bullet’s hollow point mushes inward upon impact to trigger wide expansion, and its InterLock ring mechanically binds its high antimony core and specially designed jacket together to ensure proper weight retention.